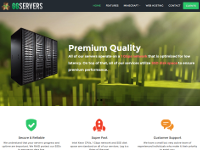 GGServers prides itself on providing the most affordable Minecraft hosting in the industry. At $3/GB, we’re practically giving it away – we’re at a fraction of the cost of our competitors. Although we’re offering an incredibly affordable service, we’re also providing a great quality service. Our servers use top quality, enterprise grade hardware paired with a premium network route-optimized for low latency. We strike the perfect balance between price and performance. Features: Multicraft Control Panel, Full FTP File Access, Unmetered SSD Storage, Unmetered Bandwidth, Any JAR Support (Tekkit, FTB, Spigot & many more), Instant Setup, 24/7 Support, FREE Buycraft Premium, FREE Enjin Premium. Very very low prices but there is a reason they are this low. The servers lag randomly and intensely, despite a 99% up-time guarantee you will be lucky to see above 75% up-time. The support is the worst I have ever had the displeasure of dealing with. They take over 24 hours to respond to a high priority ticket despite boasting about 24/7 customer service. Wow! This service is amazing! This has to be some of the cheapest prices I’ve ever seen on Minecraft. I’ve been back and forth with hosting companies for some time now trying to find the right one for me. When I looked up GG servers I thought it was too good to be true. I ordered a 4gb server and I’m very impressed. They are professional and always answer my questions when I need them. I would recommend these guys to anyone!